In this exclusive interview with French blockchain experts, from Ledger, Blockchain.io, and Bitwage, we discuss the crypto industry in France and its potential to become a blockchain hub. As one of the wealthiest countries in the world, France would be a good guess as a nation trailblazing the way for blockchain technology. Reality proves a little more complex, however. Regardless, there have been signs showcasing great promise for the up and coming French blockchain scene. The French crypto leaders we interviewed mentioned that subpar banking services and high taxes have been hindering progress, and although authorities were only once lukewarm towards cryptocurrencies, their stance has since taken a U-turn. At the heart of Europe, France has a long-standing tradition of engineering and commercial dynamism, and with the French government giving its full support behind the development of crypto and blockchain technology, this looks promising for the nation. It remains to be seen exactly how this support will materialize considering that many governments have expressed the same sentiments. Talk is cheap; however, actions are not. And it appears that France is not just all talk as government authorities have recently accepted a French ICO regulatory framework that will apply to new projects seeking to launch an ICO. Ledger is a leader in security and infrastructure solutions for cryptocurrencies and blockchain applications. Headquartered in Paris and San Francisco, Ledger has a team of 160 professionals and is most well known for their Ledger hardware wallets, which has sold for more than 1,000,000 units throughout 165 countries across the globe. We spoke to two representatives from Ledger, Amandine Doat, Head of Public Policy, and Etienne Laborde, Corporate Development and Strategy Analyst. 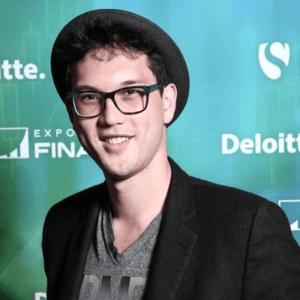 Jonathan Chester is another veteran in the crypto space, having founded Bitwage, a Bitcoin payroll and international wage payment service that allows users to be paid (or pay wages in) Bitcoin and other alternative payment methods – like local currencies and/or commodities. Chester moved operations from Canada to the Station F workspace and incubator in Paris after receiving an invite from the French government in the form of a French Tech Ticket grant for high-potential startups. We put a few questions to these experts about France’s blockchain prospects, the government’s attitude towards the industry, and any tips or recommendations they have for blockchain enthusiasts or beginners new to the scene in France. Q1: What is your opinion on the French government’s efforts to promote blockchain in France from a regulatory perspective? French regulators have done a good job working with the industry, dating back to 2016 when they suggested a Blockchain definition. Today, regulators continue to be creative in adapting existing rules to the new ecosystem. For instance, the French financial regulator (AMF) offered to deliver an optional label to trustworthy ICOs. As an evolving industry, conversations with all stakeholders will be needed on an ongoing basis. At Ledger, our method of securing private keys — through our wide range of offerings such as self-custody with the Ledger Nano and the Ledger Vault — has been discussed at length with regulators with whom we have engaged at a very early stage. The French government is not hiding its ambition to make France an ICO capital and to not miss out on the blockchain revolution. They are currently speaking with French blockchain and crypto-entrepreneurs in France in order to get a better grasp of the market, to understand its problems, and attempt to regulate it accordingly. Right now their approach remains quite pragmatic as they recognize that regulating too soon would not be smart. I, of course, appreciate the government’s efforts, yet I wish they would encourage the industry with greater incentives. Lowering taxation, recognizing the liberating nature of a payment in euros via a Bitcoin transaction, helping crypto-entrepreneurs launching ICOs to have easier access to banking services (right now most French banks do not want to support crypto-related companies) would be an encouraging step to promoting the possibilities offered by blockchain in France. France seems to be quite forward-looking when it comes to cryptocurrencies. Bitwage, as the leading Bitcoin payroll solution that lets anyone pay or get paid in Bitcoin, received a grant from the French government in the form of the French Tech Ticket grant. 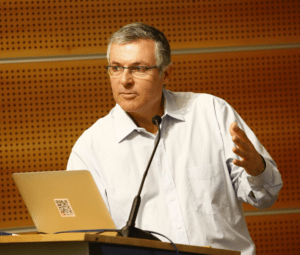 This grant connects international startups within the French ecosystem with money, mentorship, office space and access to a local accelerator. The government looks very favorably towards blockchain and technological innovation in general. Seeing as France’s finance minister is planning to create a legal framework for ICOs, the country may become a hotbed for raising capital within the industry. Q2: What prospects do you think France has for becoming a blockchain hub in the future? I definitely believe France has the potential to become a blockchain hub in the future; we train some of the best European engineers in our country, and the blockchain community is constantly expanding. However, this will only be possible if the government takes matters into its own hands and does not let our talents flee to other countries due to the lack of regulations encouraging the industry to grow. France is one of the best places in the world for startups. First, the election of [French President] Emmanuel Macron has improved the confidence of business leaders. Second, Brexit caused a lot of Fintech talent to exit Great Britain for France. Lastly, the PACTE (Plan d’action pour la croissance et la transformation des entreprises) bill, currently under discussion, will bolster additional SME growth. For France to become a blockchain leader requires overcoming some challenges. Most startups find it hard to open a bank account, as many banks do not yet know how to identify the scammers and properly run KYC in such an innovative ecosystem. Additionally, the applicable tax rate and accounting standards need to be clarified. Ledger is dedicated to creating jobs and opportunities, and our footprint in France will continue to grow. Inside of Paris is one of the largest innovation hubs in the world, a coworking space called Station F. Station F hosts over 1000 startups in a renovated train station, filled with accelerators from major companies like Facebook, Naver, BNP, Microsoft, and Ubisoft. This coworking space, where Bitwage has had a presence for the past year, is likely to be a hub for many different types of technological innovation, including blockchain. While cryptocurrency does not seem to be as big in France compared to what I’ve seen in places like the US, Poland, and Brazil, permissioned blockchain is very popular. At financial events all around Paris, you can find executives from enterprises looking for permissioned blockchain solutions for them. No doubt this will flourish. As regulation around ICOs become more firm in France, it may very well become the center for security token offerings, which would benefit significantly from well-defined regulation from a major financial center. Q3: What about the demand for crypto? What is the overall community in France like? Who are the community leaders and how would you recommend new people in the scene to get started? The biggest crypto players in France are Ledger and Stratumn. Ledger owns a place known as La Mason Du Bitcoin or the house of Bitcoin, where they host the largest Bitcoin meetups in Paris. One of the co-founders of Stratumn, Sebastien Couture, is also the founder of the popular blockchain blog EpiCenter. For new players, I would recommend going to the many fintech conferences, finding a place inside Station F, going to the crypto meetups, or applying for the French Tech Ticket. Blockchain and crypto-assets projects are gaining momentum in France, as seen by the substantial funding rounds, including Ledger ($75 million), iEx.ec ($12.5 million), and Stratumn ($7.8 million). In total, more than 400 blockchain-related companies exist here — creating 10 times more jobs in 2017 than in 2016 through companies such as Consensys, Paymium, Ark, Blockchain Partners, Coinhouse, iEx.ec or Moneytrack. France is a great place to launch a career in crypto, thanks to the quality of its STEM graduates and the increasing number of job opportunities for them. This will be a growing industry for many years to come and a great time for talent to start their career in the space. One of the greatest advantages about the blockchain community is how open it is: anyone wishing to learn more and get involved can ask questions and find support on dedicated forums like BitcoinTalk or join Telegram channels about their favorite subjects to discuss with crypto-enthusiasts from everywhere in the world. The cryptocurrency community in France is constantly growing along with the demand; early 2018, 1 in 10 French people said they already thought about buying cryptocurrencies, and 15% say they think about purchasing them in the future. What’s encouraging is to see that these numbers are up in the youngest categories of the population, the ones that will help build the next generation of the blockchain era. There you have it; there abounds great opportunities as well as several challenges ahead for the French blockchain scene and authorities. Some of the themes discussed were reminiscent of themes that have surfaced throughout other countries, such as uncooperative banks, energetic incubators, and inquisitive user demographics. 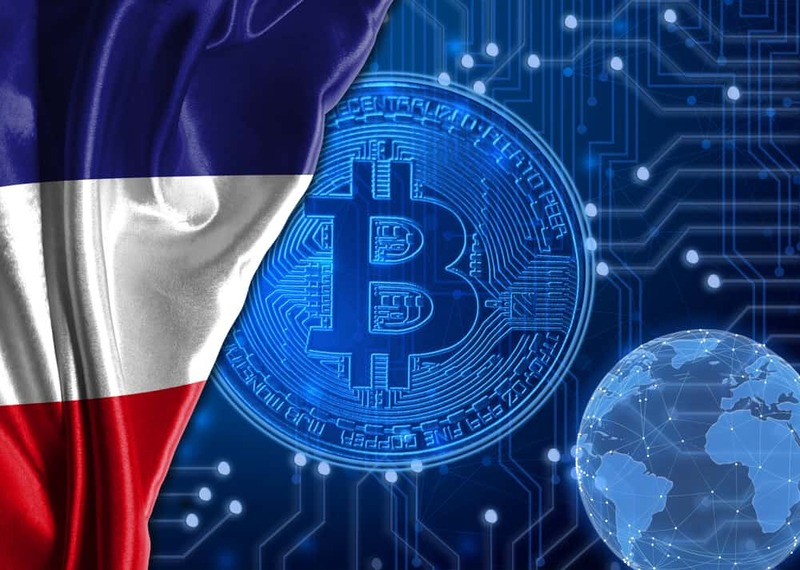 In other respects, full governmental support and an increasing B2B focus weren’t as common, and France seems to be leading the charge in this respect – or are at least carving out a niche for themselves – as we progress into the upcoming era of blockchain revolution. The development of crypto in France will hinge on both the success of new projects launching from within France such as blockchain.io and the continual regulatory progress made by the French government. If French officials can make good on their promises and deliver clear, reasonable regulations, and help to open up banking facilities to crypto projects, there looks to be more than enough momentum and support to help cement France as a viable blockchain hub for the future.